Can the venerable laptop keyboard get more touchy-feely—and in a good way? We're about to find out. Higher-end models of Apple's MacBook Pro now come with a narrow touch screen above the regular keyboard for quick access to common settings and tasks, while Lenovo's Yoga Book laptop loses the physical keyboard entirely. The traditional keyboard has never struck me as needing much improvement, although people who've grown up on touch screens might well feel differently. These touch innovations, in fact, may mostly be aimed at luring such users to laptops. So how do the new touch features improve typing and computing? 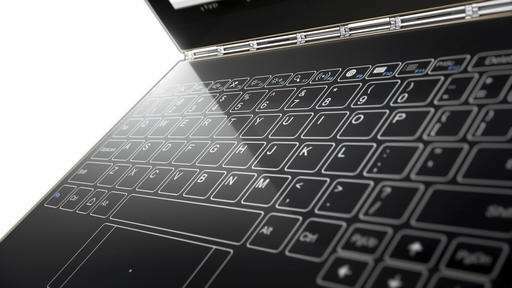 Many Windows laptops and tablets with physical keyboard accessories have long had touch screens. You still type primarily on a traditional keyboard, but you can poke screen icons and menus directly with your finger instead of navigating with a mouse or trackpad. This can be useful for basic tasks such as opening apps, moving the cursor to the search bar and rebooting the machine. 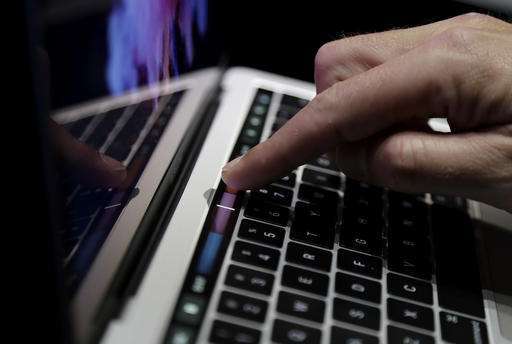 But when fixing typos in documents, selecting email to delete and even editing photos, my trackpad is generally more precise than my fat fingers on the screen. A stylus helps, but I'm prone to misplacing it. It's also generally faster to just keep your fingers on the keys. Largely for these reasons, Apple has shunned touch screens on its notebooks. But its high-end MacBooks are getting a separate, narrow strip that replaces the top row of function keys you'll find on most keyboards. This Touch Bar offers the same functions, but instead of hitting F11 or F12 to change volume, for instance, you tap the speaker icon to bring up a volume slider. You can fix up to four icons in place; the initial defaults are brightness, volume, mute and the Siri voice assistant. The rest of the strip changes based on context. When you're using the Safari browser, for instance, you typically get thumbnails of individual tabs for easy switching between websites. But that changes to play and pause if you're watching Netflix, while your name and address pop up as choices when filling out online forms. Apple's Maps app offers one-touch access to nearby businesses or directions. Mail and Messages offer auto-complete suggestions as you type, plus a button for emojis, similar to what you'd find on iPhones and iPads. You get touch access to system controls, such as "cancel" and "save," so you don't have to move your cursor. Third-party apps can add their own functionality, too, though the ones I use regularly have yet to do so. The new volume and brightness sliders are much easier to use than tapping the appropriate function key multiple times to get the level I want. In Photos, I can scroll through my library more quickly than using arrow keys. And the Touch Bar does make it easy to include emojis in messages. Because I use it frequently, I made the screenshot function a default icon. No more opening Grab, navigating a menu and returning to the window I'm trying to preserve. I've also discovered functions I never knew existed, such as the ability to highlight text in Preview with different colors. This may matter less if, like me, you're a pretty good typist with a command of keyboard shortcuts. The Touch Bar will be more useful for those who look down at the keys when typing. One suggestion: The mute icon stays the same regardless of whether the Mac is already on mute. How about a distinct icon to unmute, now that the options are dynamic? The Mac now turns on automatically when you open the lid. In place of a power button is a fingerprint scanner, similar to what's found on mobile devices. You still have to type in my password occasionally as a security measure, but you can avoid doing so most of the time when resuming a session or installing new software. People sharing a computer can instantly switch profiles with their own fingerprints. The MacBook Pro has a larger trackpad and is lighter and thinner than previous models, thanks in part to shorter keys that don't feel awkward. You no longer get regular USB ports or an SD memory card slot for photos. That means buying adapters to connect older printers, scanners and your iPhone to the new USB-C ports. On the plus side, you can now connect the power charger on either side, depending on where the outlet is. And the MacBook retains a headphone jack, something the latest iPhones dropped. If you don't need the Touch Bar or the fingerprint scanner, you can save $300 with an entry-level MacBook Pro, but it is slower and has ports only on one side. The Touch Bar models start at about $1,800 for a 13-inch screen and $2,400 for 15 inches. 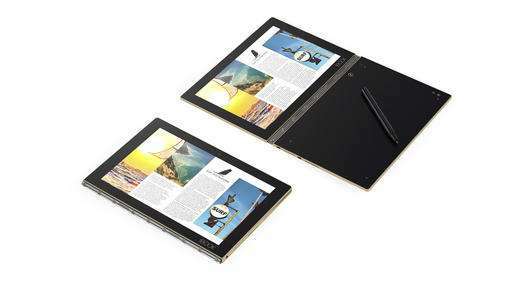 Meanwhile, the 10-inch Yoga Book (about $500 for Android, $600 for Windows) retains the clamshell design of a laptop but has a second touch screen where the keyboard normally goes. Unlike pop-up touch keyboard in tablets, this one doesn't block the main display as you type. 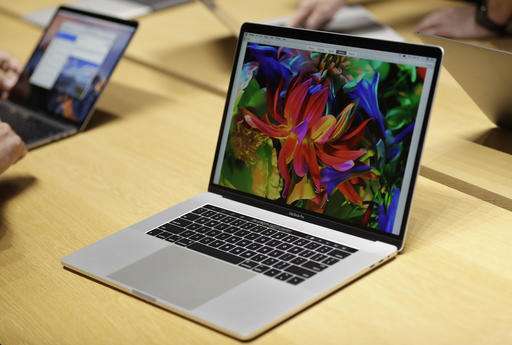 Without physical keys, the device is just 0.38 inch thick, or about two-thirds the thickness of the new MacBooks. The touch keyboard also doubles as a handwriting pad for notes and doodling with the included stylus. The Yoga provides both tactile and audio feedback when you hit the keys, although it's still easy to miss the ones you're aiming for. It takes longer to type because of all the typos, which gets annoying very quickly. You would think that with a touch keyboard, the Yoga could reconfigure the keys to toggle between upper and lower cases and switch languages, much the way a touch keyboard on a phone or tablet does on the screen. But the keys themselves always appear in standard English and in upper case, even when you're typing in Thai. Call it a missed opportunity. An Australian startup called Sonder is already planning to ship such a keyboard for $199 this year, but who wants to carry around an extra accessory? If it makes it onto a future laptop, it could mark a true revolution that goes well beyond the minor changes the Touch Bar and the second touch screen offer.